Following World War I, Austria was weakened by a period of economic stagnation and political strife. At this same time, Nazi propaganda inside Austria intensified, and as early as 1934, just a year and a half after Hitler came to power in Germany, a group of Nazis seized the Austrian chancellery and attempted to proclaim a government. Though they did not succeed, they did assassinate the chancellor, Engelbert Dollfuss. Kurt von Schuschnigg replaced Dollfuss as head of the Austrian government, but the political factions and unrest left him with little popular support. The regime held on for a few years, sustained primarily through Italy’s assistance, but once Hitler allied with Mussolini, Austria’s resulting political isolation spelled its fate. Schuschnigg made one last attempt to assert Austrian independence by declaring a nationwide plebiscite to determine whether Austrians wanted a “free, independent, social, Christian and united Austria,” but in the face of Nazi demands, he cancelled the plebiscite and resigned his post. The next day, March 12, 1938, German troops entered Austria, and one day later, Austria was incorporated into Germany. This union, known as the Anschluss, received the enthusiastic support of most of the Austrian population and was retroactively approved via a plebiscite in April 1938. Although neither Jews nor Roma (Gypsies) were allowed to vote, the results were manipulated to indicate that more than 99 percent of the Austrian people wanted the union with Germany. Widespread antisemitic actions and political violence followed quickly on the heels of the Anschluss. Austria’s leading politicians were imprisoned, and anyone opposing the Nazi rule was subject to arrest, torture, and death. Jews particularly were attacked and humiliated on the streets. The Gestapo, along with Austrian Nazis and sympathizers, looted Jewish belongings, seized Jewish businesses, and arrested those who refused to surrender their property. Furthermore, anti-Jewish legislation was in place almost immediately, forcing Jews from their positions, and essentially expelling them from the country’s economic, social, and cultural life. The following bibliography was compiled to guide readers to materials on the Anschluss that are in the Library’s collection. It is not meant to be exhaustive. Annotations are provided to help the user determine the item’s focus, and call numbers for the Museum’s Library are given in parentheses following each citation. Those unable to visit might be able to find these works in a nearby public library or acquire them through interlibrary loan. Follow the “Find in a library near you” link in each citation and enter your zip code at the Open WorldCat search screen. The results of that search indicate all libraries in your area that own that particular title. Talk to your local librarian for assistance. An overview of Germany’s takeover of Austria in March 1938. Includes information on the history of the term Anschluss. Chronicles the history of Austria before and after the Anschluss. Discusses the persecution of Austrian Jewry following Austria’s annexation to the Reich. Explores the popularity of the union with the Reich among ordinary Austrians and how the country ultimately fared under German control during World War II. Features maps, statistical tables, extensive notes, and a bibliography arranged by type of source. A first-hand look at conditions in Vienna from the end of World War I to the Anschluss by a contemporary Austrian journalist. Particularly describes the social and economic malaise in Vienna. Includes a chronology of events. A contemporary chronology of the historic events leading up to March 12, 1938. Includes an “identification list” of important political figures, and features translations of official reports, communiqués, decrees, and correspondence. Discusses the political struggles within Austria that led up to the takeover by Germany. Also features a chapter on international reactions by politicians and foreign media at the time. Analyzes the Anschluss and the events leading up to it. Reviews the history of Austro-German relations, the national and foreign policies of the Third Reich, and the Anschluss as culmination of Nazi foreign policy. Includes an extensive bibliography. A memoir by Austria’s Chancellor at the time of the Anschluss. Provides an insider’s view of the events taking place in March 1938, including transcripts of telephone conversations between Nazi officials on March 11 and 13, 1938. Also recounts the author’s career, his imprisonment at the hands of the Nazis, and his liberation in 1945. The Library also has an edition in German under the title, Ein Requiem in Rot-Weiss-Rot. A detailed account of the historic events during the week of March 9-15, 1938. Includes photographs, maps of Austria and Vienna, and a list of sources. The Library also has an edition in German under the title, Ein Volk, ein Reich, ein Führer. 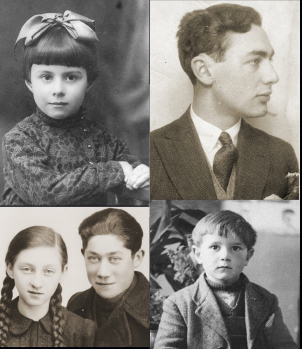 A collection of autobiographical essays by Jews who had to flee Austria after the Anschluss and who have since lived in exile. Supplemented by a short biographical statement on each person. A compilation and analysis of statistics relating to the Anschluss, with special emphasis on the demographics of the Austrian voting population during the 1930s. Contains numerous tables, charts, graphs, and thematic maps. Includes a detailed bibliography and an index to the statistical tables and diagrams. A military history of the takeover and annexation of Austria. Features numerous maps showing troop movements, appendices listing the composition of the various divisions and units, and an extensive bibliography. Provides a critical overview of the events of March 1938 and the subsequent totalitarian Nazi rule over Austria, with special emphasis on local resistance activities. An official publication of the Austrian government marking the 50th anniversary of the Anschluss. A thorough look at Hitler’s childhood and youth, particularly how the social climate in Vienna influenced his racist ideology and worldview. The Library also has an edition in German under the title, Hitlers Wien. A case study of the development of the resistance movement in Austria, including underground youth and political organizations, members of the clergy, partisans, and the “O5” faction. Written by an historian who fought the Nazis for six years as a partisan in the Czech resistance. Includes a lengthy bibliography, detailed index, and a statistical appendix. The Library also has an edition in German under the title, Der Widerstand in Österreich 1938-1945. Reviews the achievements of Austrian authors and artists in exile, auch as Stefan Zweig, Erich Fried, Elias Cannetti, and Hilde Spiel. Volume 6 in the series, Austrian Studies. Exploration of the cultural and political history of Vienna under Nazi occupation, from the Anschluss and Kristallnacht through the end of the war. Includes a discussion of how the Nazi past has affected Vienna’s political and social discourse in the decades since 1945. With 16 pages of photographs, a bibliography, and index. Chronicles the systematic persecution of the Jewish community in Vienna after the Anschluss and how the Nazis used Vienna to “perfect” the expropriation and deportation of their Jewish victims. A compilation of official correspondence and eyewitness accounts documenting the antisemitic attacks and pogroms immediately following the annexation of Austria, and culminating in the organized expropriation of Jewish properties and the deportation of the Jewish owners to the death camps. Web site of the DÖW, an archives and museum founded by former resistance fighters and historians in Austria. Describes their collections on resistance and persecution (1934-1945), exile, Nazi crimes, and right-wing extremism after 1945. 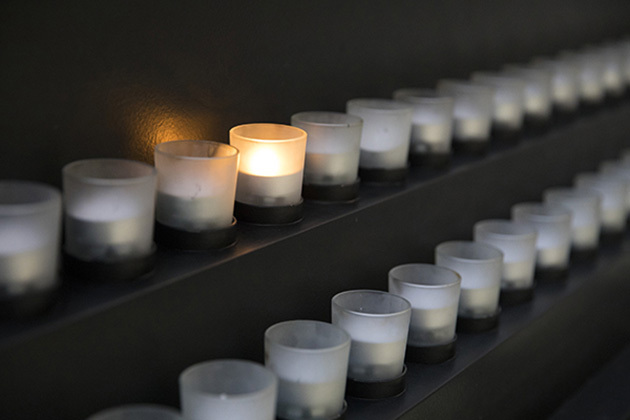 Includes information specifically about the Anschluss and the anti-Jewish measures that followed, and provides a searchable database of over 60,000 names of Austrian Jews who fell victim to the Holocaust. Predominantly in German with a sizable portion in English. Briefly reviews the history of the Nazi occupation of Austria and the persecution of Austrian Jews. Addresses the Anschluss, Kristallnacht, deportations of Jews, and the camp at Mauthausen. Includes photographs, archival film footage, maps, artifacts, personal histories, and related links. Summarizes the situation in Vienna under the Nazi occupation. Addresses the Anschluss, Kristallnacht, Jewish attempts to emigrate, deportations of Jews, forced labor in Vienna, and the city’s liberation. Includes photographs, maps, artifacts, and personal histories. Presents archival film footage related to the annexation of Austria held by the Steven Spielberg Film and Video Archive at the United States Holocaust Memorial Museum, including speeches, military parades, and newsreels.